Sales Guns Wanted! Apply Now! New Zealand is the perfect place for backpackers because it is a safe and adventurous country to explore. Its wondrous beauty, peaceful scenery, exquisite hiking trails and friendly people make it one of the hottest backpacking locations in the world. If you are on a working holiday visa the options for employment while you're having a great time living it up are endless. Work the winter months at a ski resort, and spend summer waiting tables by the beach. No matter the type of casual employment you're after – whether it's office admin, hospitality, sales and marketing, events and promotions work, farm work, fruit picking, fisheries, au pair jobs or labouring work – New Zealand has you covered. On the East Cape of the North Island lies Mt Hikurangi. If you want to witness a spectacular sunrise, you can hike to the top of the mountain via a public walkway, which leads to a hikers' hut at the top. Spend the night here and wake up to the beauty of the sun rising over the landscape. At the bottom of the mountain, you'll find the small town of Ruatoria. One of the main industries of this New Zealand region is agriculture, so it's a good place to stop and find some farm work. On the northern coast of New Zealand's north island, you'll find the Bay of Plenty. Home to beaches you'll never want to leave and the country's only active marine volcano, this region has a host of outdoor activities to keep the most physical of backpackers active. 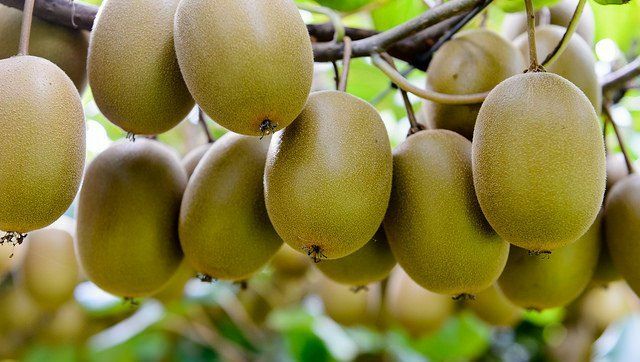 The area also happens to be where most of the world's kiwifruit comes from, meaning it's the perfect spot to locate a fruit picking job for the kiwifruit season. If you're a fan of the Hobbit movie or Lord of the Rings, you can't visit New Zealand without going to Middle Earth. Discover the lush Waikato countryside where the movies were filmed and take a tour of the Hobbit holes, Party Tree and Green Dragon Inn – there's a permanent movie set there to explore! Being a hot spot for tourism, the surrounding Waikato area has a number of different accommodation and restaurant options to cater for tourists visiting the region. If you're after a spot of work in hospitality while you're on the island, why not seek out some employment here? As New Zealand's largest city, Auckland has a never-ending list of things to do and explore. Take in the views from the Sky Tower, visit the Kelly Tarlton's Sea Life Aquarium, go for a stroll in the J.F Kennedy Memorial Park, or take a scenic drive through the Waitakere Ranges. A great place to base yourself for work: if you're looking for a job in sales and marketing you're bound to find a position in this city of 1.5 million people. The capital of New Zealand, Wellington is the home of the country's parliament. This means there's often a lot going on, whether government events or otherwise, and people come from around the country to attend annual events such as the Fringe Festival, Wellington Jazz Festival, Lux Light Festival, Toast Martinborough and Wellington Cup Day. Aside from attending these fun events, the busy calendar means there are often jobs going in the events and promotions' sector.